Train your puppy the quick and easy way! Quick-drying technology prevents paw tracking. Pheromones & the scent of fresh cut grass attract your pet. Super absorbent with leak-proof edges & odor control system. 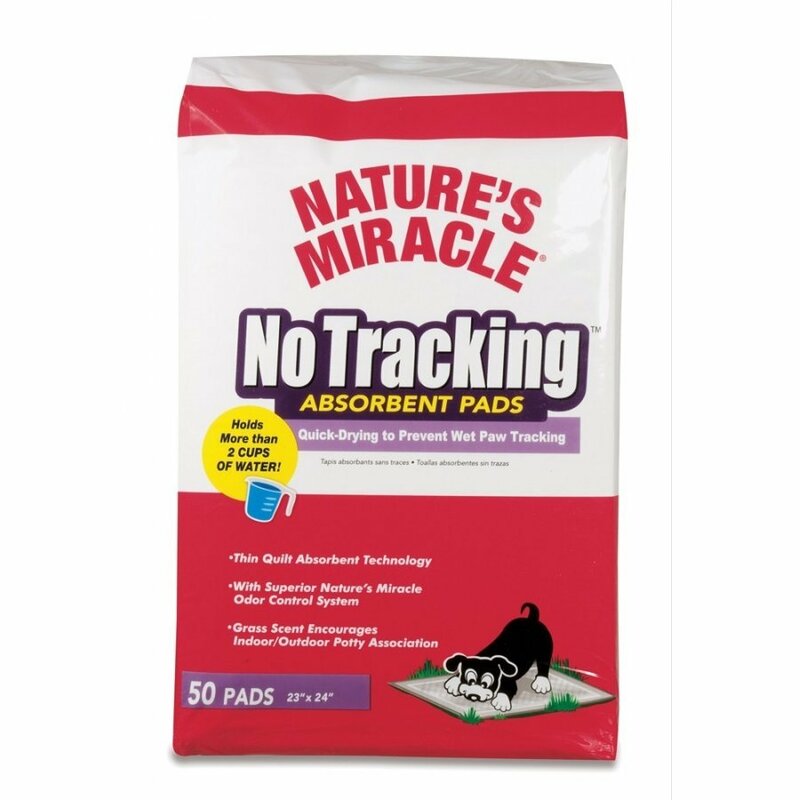 Natures Miracle Ultra-Lock Absorbent Training Pads has different options and/or variations, please choose below. 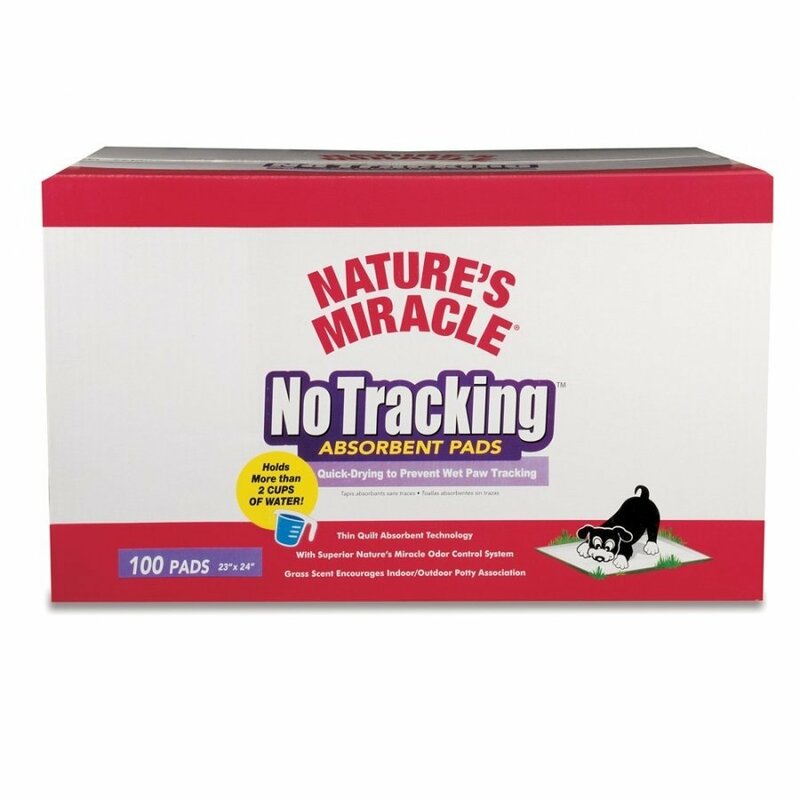 Natures Miracle Ultra-Lock Absorbent Training Pads pads train puppies even faster with a revolutionary grass scent and pheromones to attract the puppy to the pad. 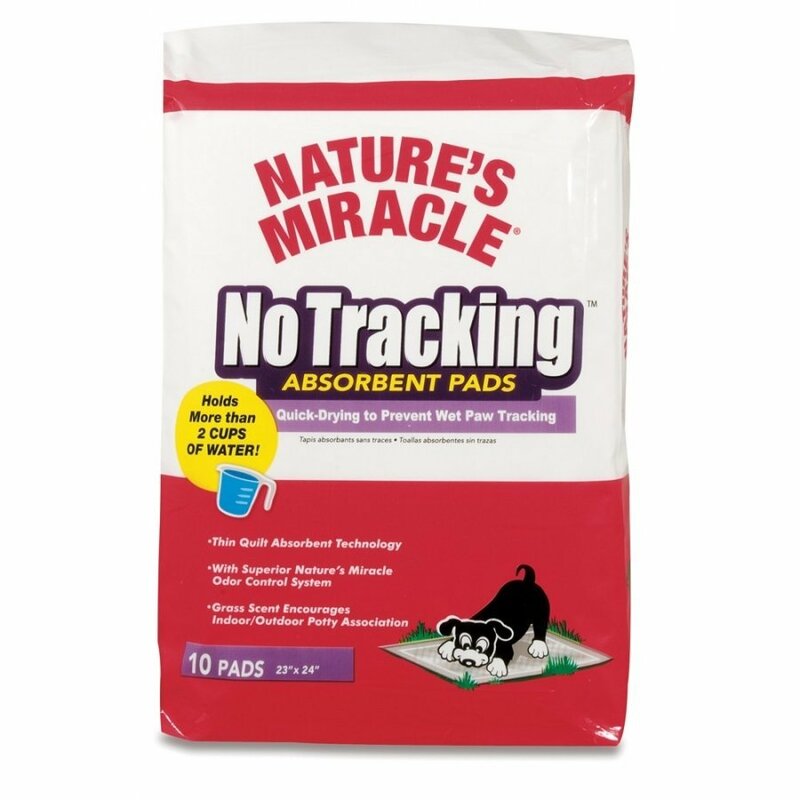 Ultra-Lock Absorbent Training Pads are great for housebreaking puppies, indoor/stay at home pets, senior dogs, and incontinent or ailing pets. Quick-drying technology prevents paw tracking and super absorbent polymers absorb up to 100 times their volume in liquid, meaning there's no soggy mess to clean up. Pad Dimensions: 23" x 24"
Leak proof edges provide maximum protection to floors from wetness. Plus, the extra thick top layer is 50% thicker than standard to resist scratches and tears. Plastic liner on the bottom is leak-proof, which helps to keep your floors clean and tidy. Absorbs over 450 grams of fluid. Draws fluids quickly into pad. Increased fabric strength minimizes nail tear oppurtunities. Prefabricated core enables pads to absorb 100 percent more fluids than traditional training pads. Virgin plastic bottom provides superior leak protection. Grass scent recommended by vets to help dogs associate go here with outside. Absorbs over 450 grams of fliud.